Given the terrifying rates of prostate cancer in men of all ages in the UK, any suggestions for long-term lifestyle changes that could improve a person's chances are urgently welcome. At present 47 000 men are diagnosed with the disease annually (that's 130 a day), making it the most common form of cancer in men, while 1 in 8 are expected to suffer from it at some point during their lives. This week, in an interview on the Howard Stern radio show, the US actor-director Ben Stiller revealed his own battle with the disease two years ago, at the age of 48. "I got diagnosed with prostate cancer Friday, June 13 2014. On September 17 of that year I got a test back telling me I was cancer free," he wrote in a subsequent blog post. "The three months in between were a crazy roller coaster ride with which about 180,000 men a year in America can identify." Stiller now has the all-clear thanks to swift treatment, but there are, however, some small steps that can be taken to help prevent the cancer – or to at least keep your prostate fit, healthy and under control. 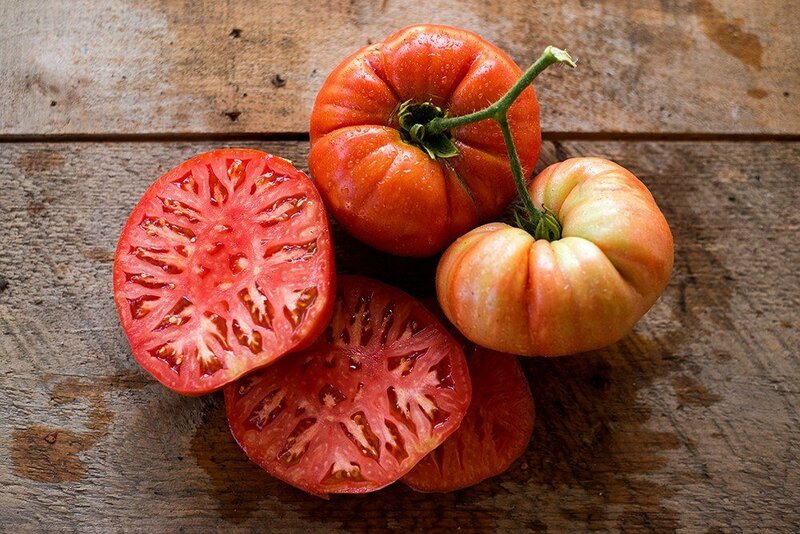 A review of 67 research studies, published in the journal Oncology and Cancer Case Reports, has reiterated previous research by extolling the virtues of a tomato-rich diet in slowing the enlargement of the prostate. Choosing the red fruits could equally aid sufferers of late-night bladder problems (an enlarged prostate constricts the urinary tract, which makes men want to visit the loo more and increases the chance of discomfort during urination). There seems no end to endorsements of green tea as an all-conquering superfood. The prostate is just one area of the body it has been found to help. In an American study published in 2014, a sample of men were given a diet of green and black tea extracts each day for 12 weeks, while others received a placebo. Taking measurements, the researchers found that those receiving the tea had an improved quality of life in as little as six weeks, as well as improved urine flow and decreased urological inflammation. The benefits of tomatoes in relation to prostate health have been known for years, with various studies around the world corroborating their effectiveness in controlling the rapid growth of the prostate during a man's later years. It's all because tomatoes are rich in the nutrient lycopene, which, incidentally, is what makes them red. “We knew lycopene seems to slow down the development of prostate cancer, but now it seems it can slow down the enlargement of the prostate and development of BPH as well,” said Professor Hiten Patel, from Bart's and the Royal London Hospital, who led a new review of 67 studies into the connection. Lycopene, which is also found in watermelons and apricots, is not easily absorbed into the blood, meaning an over-indulgence in tomatoes will not necessarily help. A supplement pill named LactoLycopene may be a solution, however. While the connection is debated, it has been noted that countries with higher than average soy intakes (such in Asia) tend to have far lower rates of prostate cancer. It has been found by various studies that soy can decrease the incidence of prostate cancer in men who consume it in "large amounts" and even aid in preventing the cancer from recurring. It won't come as groundbreaking news to learn that green vegetables are a good idea if you wish to avoid ill health, but some are especially beneficial to maintaining a healthy prostate. Vegetables such as broccoli, kale, cabbage, and sprouts naturally contain the compound sulforaphane, said to fight cancer. In 2015 a team of scientists from the Texas A&M Health Science Center found that supplements of the compound could be used to treat advanced forms of prostate cancer. According to several studies, even consuming a very small amount of pomegranate juice each day could slow the progression of prostate cancer. One suggested just 8oz could do the trick. Testing 48 men who had received surgery or radiation therapy to treat prostate cancer, the study, which was presented at the American Urological Association's annual meeting in 2009, found that men who drank the juice experienced a growth in prostate-specific antigen that was four times slower than before they started. Bad news, BBQ lovers: separate studies have linked both red meat and very well done meat to an increased risk of prostate cancer. Cutting down on your meat intake and eating more fruit and veg appears to slow the enlargement of the gland. There's some (disputed) evidence to suggest that excessive calcium intake increases the risk of advanced prostate cancer. We really are talking excessive here – 2000mg, which is about the equivalent of one and a half litres of milk. Calcium remains a vital nutrient for your body's health, so you'd be well advised not to do away with that bowl of milky porridge in the morning. A recent study linked diets high in saturated fats to aggressive prostate cancer. The same study also found that men's risk was significantly lower if their diet included more polyunsaturated fats (commonly found in fish and nuts). A high sugar intake is linked with general inflammation in the body. This applies to the prostate, so if you want to keep your prostate healthy, it's best you turn the other cheek when faced with all the stuff you want to buy at the checkout counter.